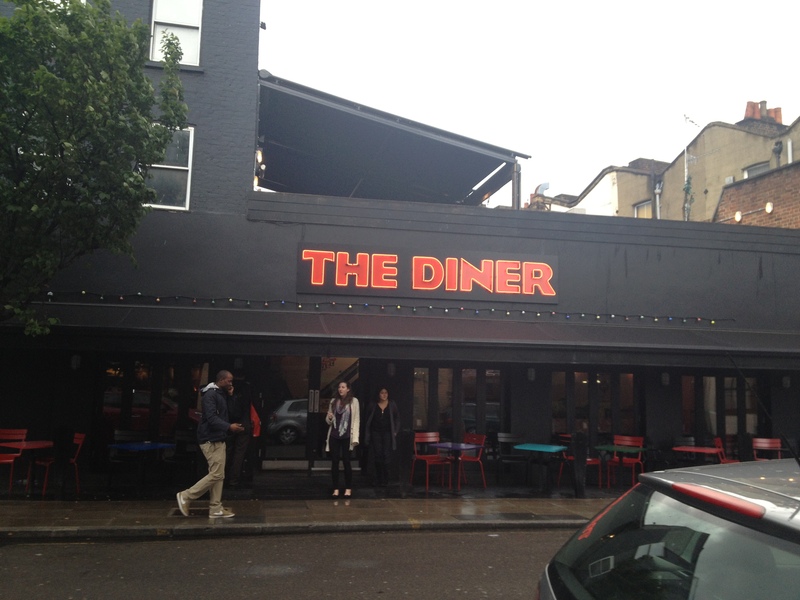 Before any night out, food is the first on the list, so for some burgers and fries we headed to The Diner just a short walk from Camden Town station. 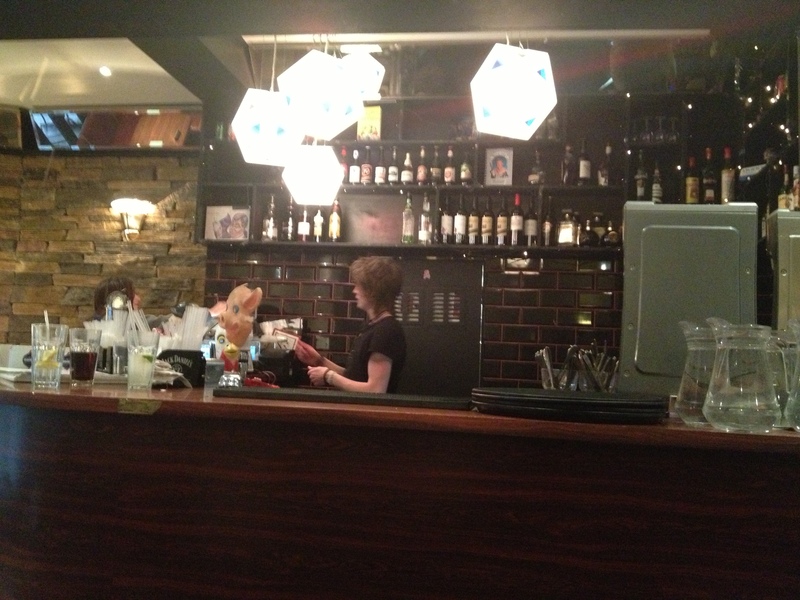 We arrived around 6pm and were greeted by a lovely waitress who showed us to our booth. 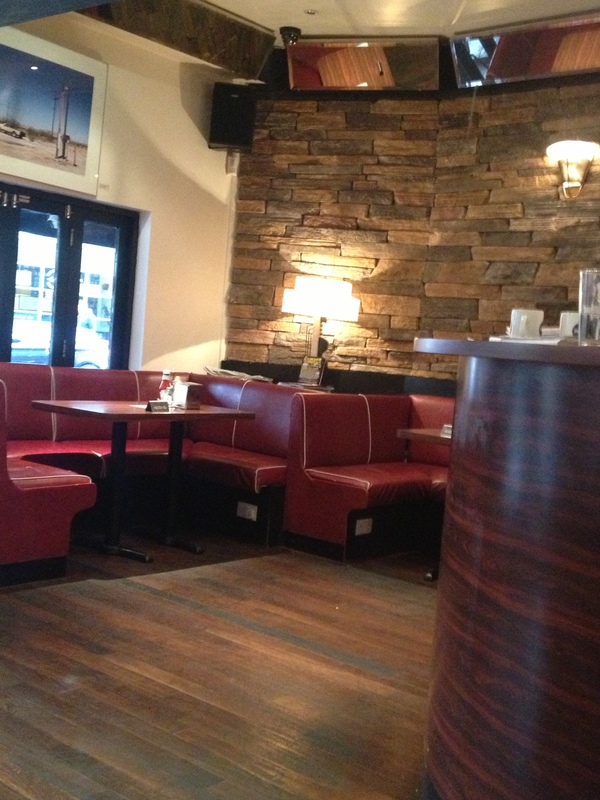 The restaurant is a good size; it’s an American diner style deco including red booths, and a bar. Right after receiving our menus and looking through them, I was in heaven, I had no clue what to order, from shakes, burgers, hot dogs, all day American style breakfasts, salads the choices were great. So having very small appetites’ I couldn’t try everything, myself so my friend and I both opted for the BBQ Chicken Burger (£6.90) which is a grilled with pickles and spicy mayonnaise, I opted for cheese on mine too. 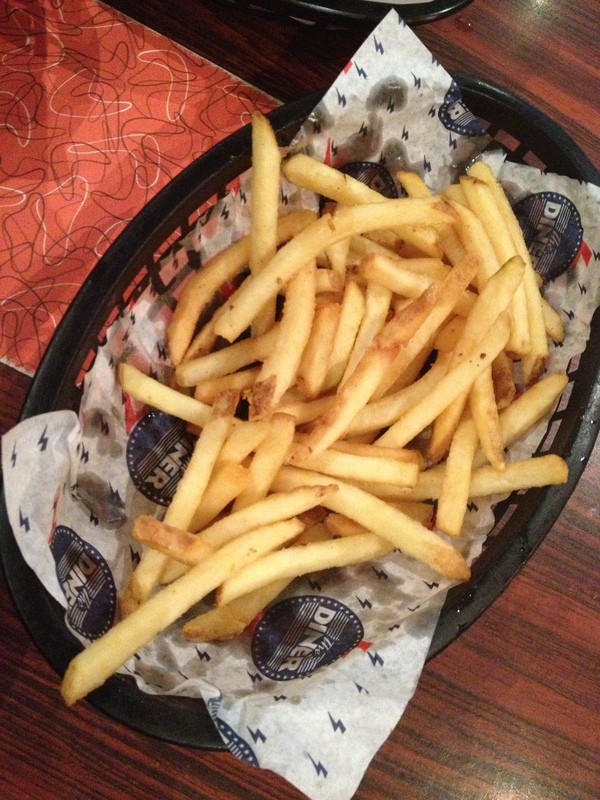 We also ordered Fries (£2.60) and onion rings (£3.10) for sides. I have to say service was great and we received our meals in good time, everything arrived in black plastic baskets, very American style. 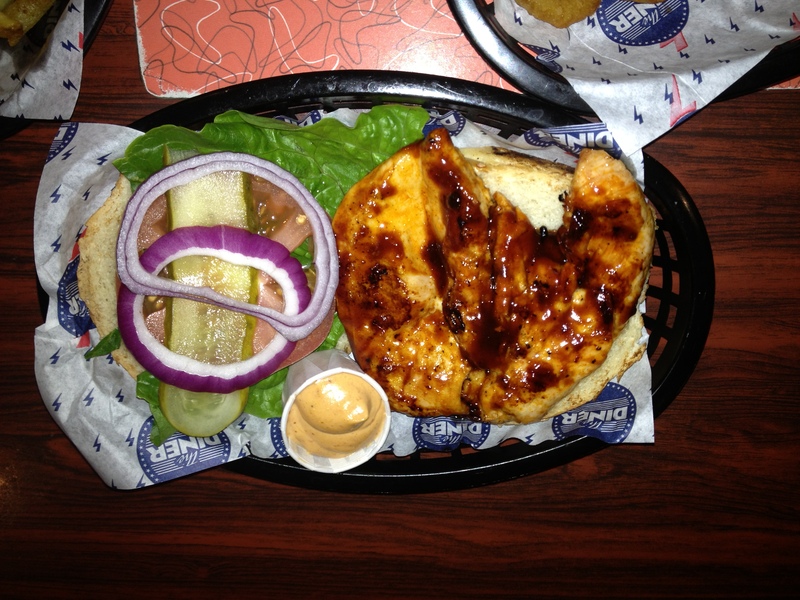 The burgers were open when served, which is great as you could add any extra sauces. Nom, Nom, Nom….that’s my verdict! 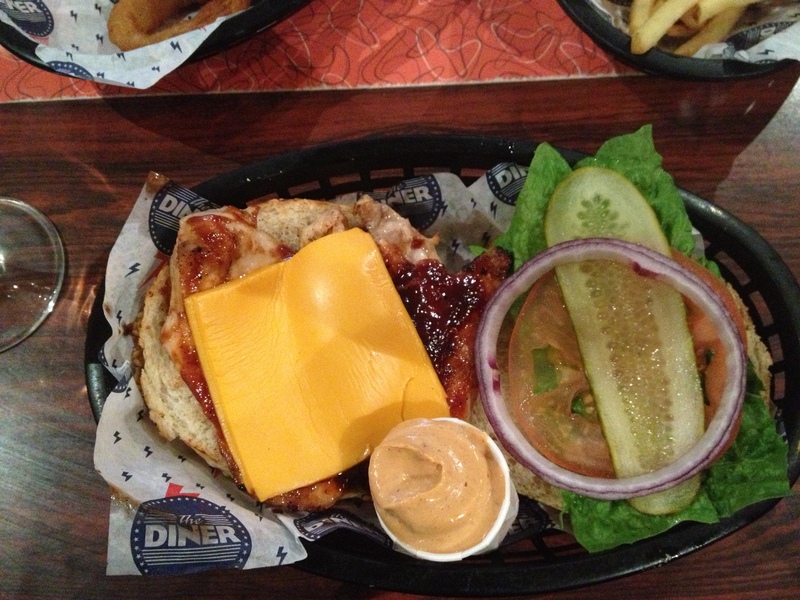 Seriously the burger was that good, the BBQ sauce combined with the grilled chicken was great, the pickle and cheese complimented it well and the spicy mayo served on the side was just perfect. 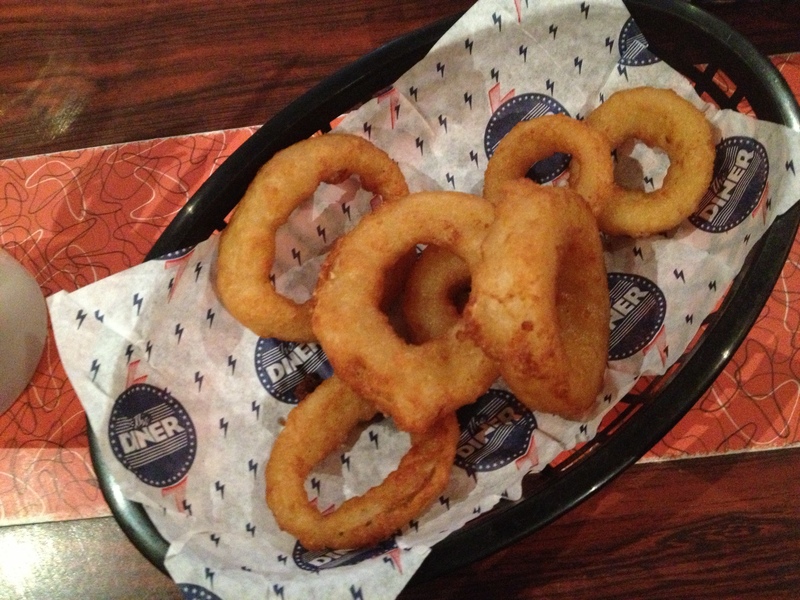 The fries and onion rings were tasty too. 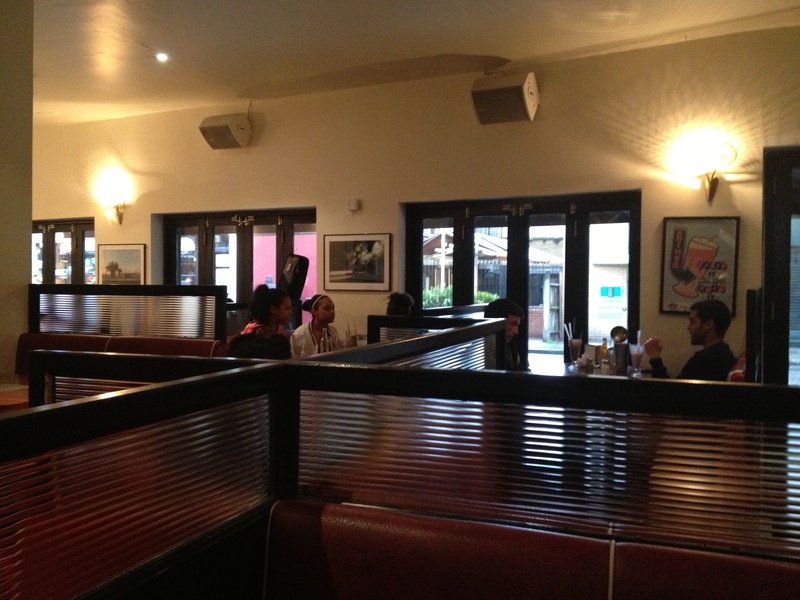 The Diner in Camden is a great American style diner, with good service, and even better food. They are a few branches in London, so make a visit, I’m looking forward to my next trip just so I can try the American breakfast and desserts.